Xenophon Protopapas BA (Law) achieved a BA degree in law through self-study and by attending evening classes. He was in private practice as a principal since 1982 and founded Protopapas Solicitors in 1990. Before entering the legal profession he studied Business Studies and spent a number of years in commerce where he gained a wealth of experience and knowledge of business in action. This background enables him to understand the needs of business people and can deal with their problems and requirements effectively. Over nearly four decades, Xenophon has dealt with a vast number of cases and matters. 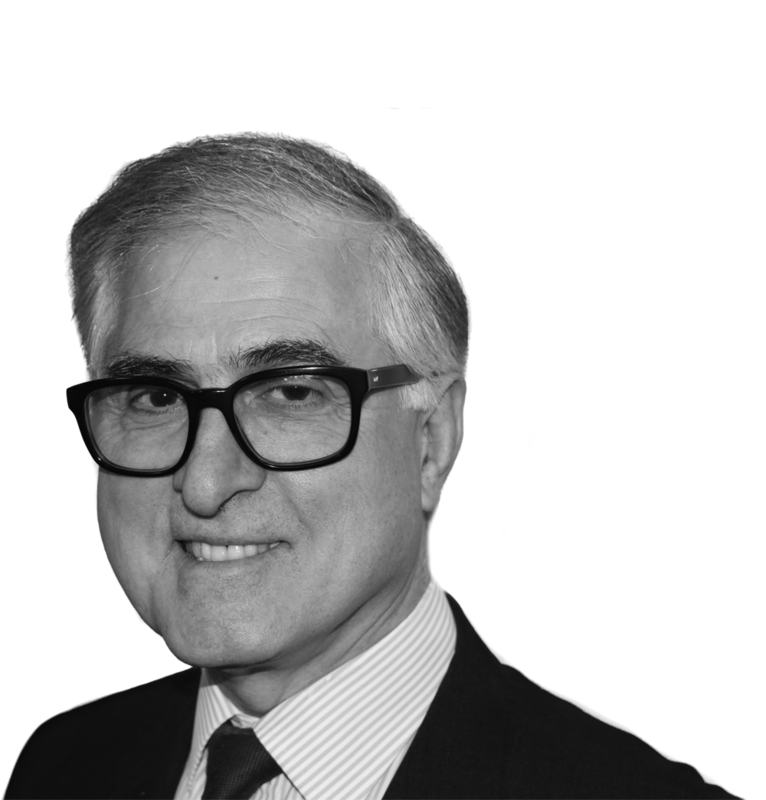 His knowledge and expertise means that he is able to offer high quality advice on wide ranging areas of law. He particularly specialises in property, commercial matters and all types of dispute resolution and challenging litigation, often dealing with high value commercial litigation, property litigation, debt actions, contentious probate matters and matrimonial disputes. Xenophon also provides advice on a range of corporate and non-corporate business matters including, sole trader and partnerships, formation of and structuring and restructuring of offshore and onshore companies, mergers, sales and acquisitions and all pertinent finance and corporate documents generally. Xenophon has extensive expertise and knowledge in dealing with offshore clients and companies. Xenophon places a huge importance on work being done quickly and efficiently every time to the client’s satisfaction. The argument over the origin of the following statement is unsettled; however no matter who said it first, it is still true and Xenophon often quotes this today when presented with an unmeritorious case: “The impossible we can do immediately; miracles take a little longer”. This was a High Court case which established that a valuer instructed by a mortgagee lending institution could owe a duty of care in tort to a mortgagor purchaser relying on a valuation. The defendants initially lodged an appeal but it was later withdrawn for fear of opening the floodgates. This decision was later approved by the House of Lords in the jointly heard cases of Smith v. Eric Bush (1990) 1AC 831 and Harris v Wyre Forest District Council (1990) 1 AC 831. This case related to constructive dismissal. Mrs Protopapa resigned from her job after she was severely reprimanded by her supervisor in front of her colleagues for making a dental appointment without asking for permission to be absent from work. The tribunal upheld her complaint of constructive dismissal. Hilton appealed on the basis that the supervisor who reprimanded Mr Protopapa would have had no authority to dismiss her. The appeal was dismissed as it was immaterial that the supervisor upon whose conduct Mrs Protopapa relied had no authority to dismiss. Whether the employer was bound by the supervisor’s actions depended on whether the supervisor was acting within the scope of his employment in reprimanding Mrs Protopapa, which in this case he clearly was. The employer was therefore bound by his action. This was a Court of Appeal case concerning an insurance claim in relation to contents insurance. The case established that an honest representation of belief in an insurance context must have some basis and that if insurers wished their clients to obtain independent valuations of their goods, then that must be made a term of the contract. It was also held that the test for non- disclosure of information was also that of honesty. This was a Court of Appeal case concerning disclosure of documents. Watford Petroleum had originally applied to the court for an order that certain documents should not be disclosed at the disclosure stage of the court proceedings; the order was initially granted however it was later reversed in the Court of Appeal where it was held that disclosure is an integral part of the litigation procedure and litigants must comply with it no matter the risks involved. Xenophon has always committed himself to a large quantity of Pro Bono and charity work, working closely with various charities and with the UK Greek Orthodox community. Xenophon has served on the council of the Greek Orthodox community of Barnet since 1982; and has been Chairman since 2004. He welcomes many overseas and UK students to the firm and provides them with work experience and internships to help them in their studies and future careers.